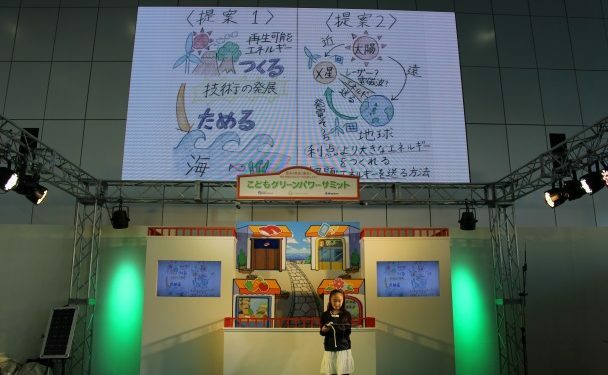 In the winter of 2015, the National Museum of Emerging Science and Innovation (Miraikan) and the NPO Think the Earth conducted a four-part program in which children thought about the future of energy and presented their results as an “energy strategy” for the country and the world. Ten children participated in the program. In the first session, they studied the fundamentals of energy while engaging in discussion, proactively learning about the differences between primary and secondary energy and the strengths and weaknesses of power generation. In the second session, they toured power generation facilities. 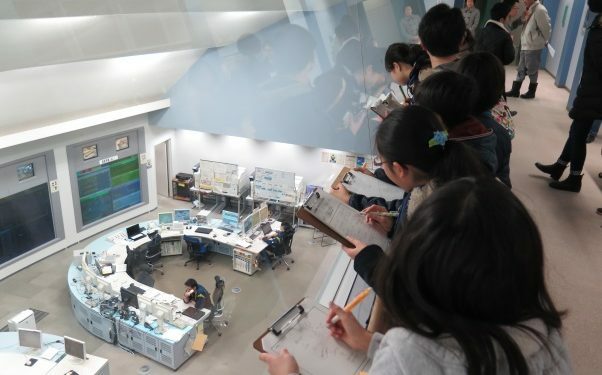 They spent a day visiting a coal-fired power plant and a solar power plant, and were able to see normally unknown aspects of power generation. In the third session, they learned about things such as Japan’s energy agencies and focused on the energy problems facing Japan. 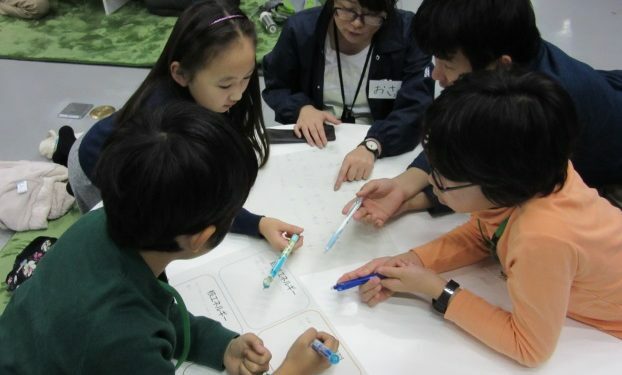 By envisioning a society that has solved energy issues as a leading point, the children thought about a future energy strategy and presented their ideas in the fourth session. Small-scale hydroelectric generation suits Japan since it has a lot of rivers and rain. Regions can be revitalized with power generation as an integral part of lives, and it is good to live connected with nature. If the cost of installing solar panels is high, the first thing to do in a district is to increase the reward to those who are self-sufficient in powering their homes. Create an electricity exchange so that areas that have excess power can supply electricity to areas that need it. After the presentations, a representative from the Agency for Natural Resources and Energy presented the participants with Green Power Kids certificates. This program is scheduled to continue in 2016.